A draught proofing overhaul drastically improves the functionality and thermal performance of your windows in a number of ways, making your household more environmentally friendly and reducing your energy bills. 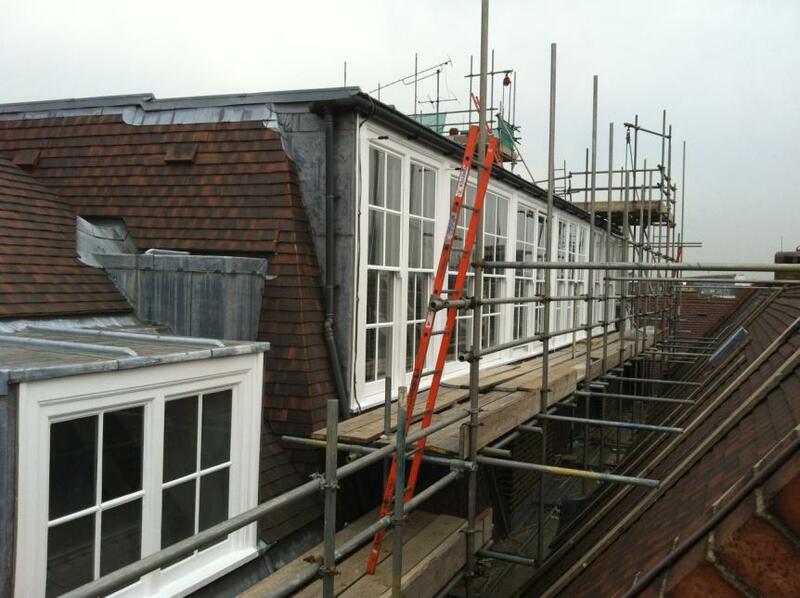 First windows are fully dismantled from the inside, and the sashes are removed to a designated working area. The existing cords/ beading and weights are also removed and set aside. 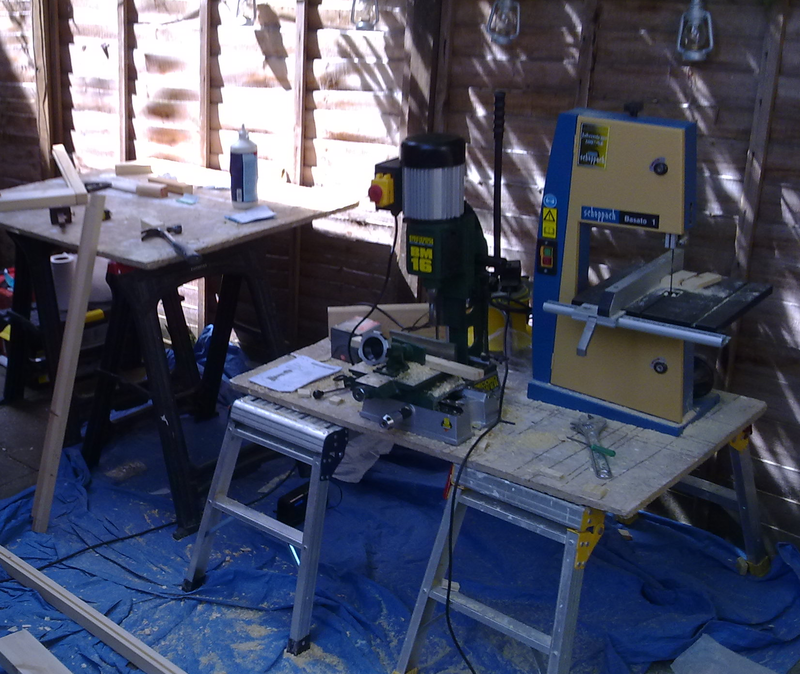 If any repairs to the timber frame are needed they can be done at this time and are separately itemised and priced. The box and sashes are scraped back to bare timber, removing years of paint build-up, and ensuring the sashes slide smoothly when the components are reassembled. If the full decoration service has been selected (which we highly recommend) at this stage we can fully prep, tape and decorate your sashes and boxes, allowing us to achieve a far superior finish than if the sashes are painted in their frames. When the sashes are removed frames are boarded securely from the inside to keep the elements out, and your property secure. The sashes are planed down to ensure they fit the boxes correctly and meet with each other accurately. We machine a narrow channel to areas of the sashes to house the weather pile system, which creates a seal around the sashes, offering excellent draught prevention. The sashes are weighed and correctly rebalanced using lead bars where necessary in addition to the original steel weights, then re-corded using top quality nylon core sash cord. The sashes are tested to ensure they are moving smoothly with very little effort. Timber staff and parting beads compliant for use in listed buildings and conservation areas are installed to ensure a draught proof functional window. The weather pile system is barely visible, however the difference in functionality and resistance to the elements is immediately felt. 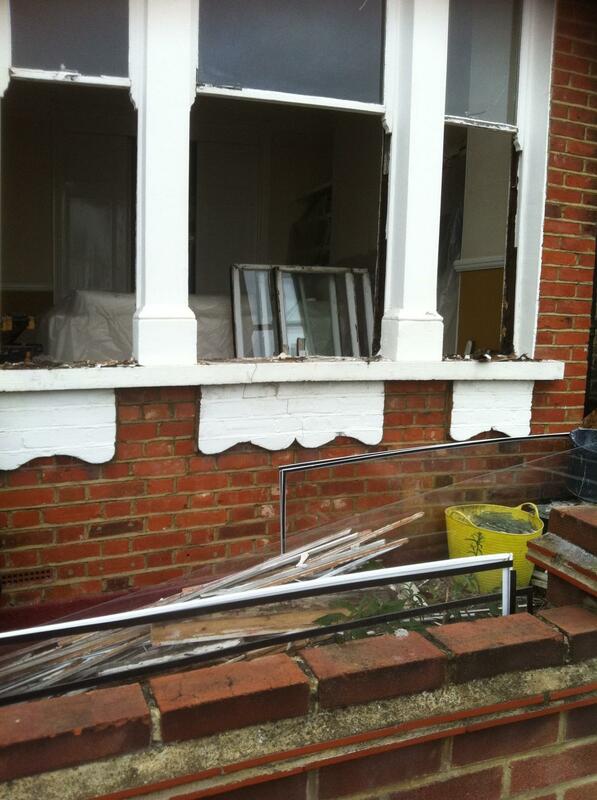 Draughty voids between sashes and window frames are eliminated. 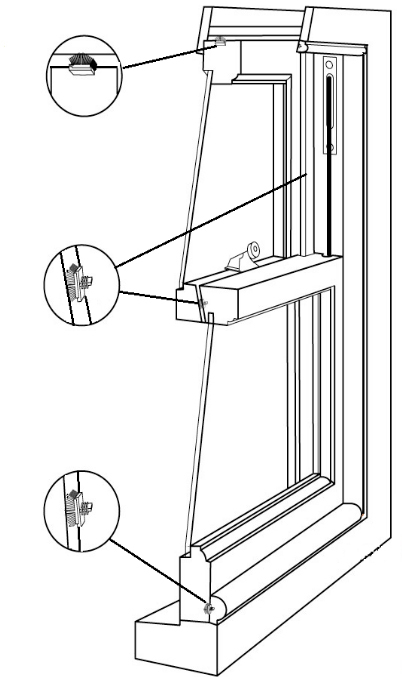 Air flow from each draughty box sash is reduced from an area of up to 20cm² to next to nothing. 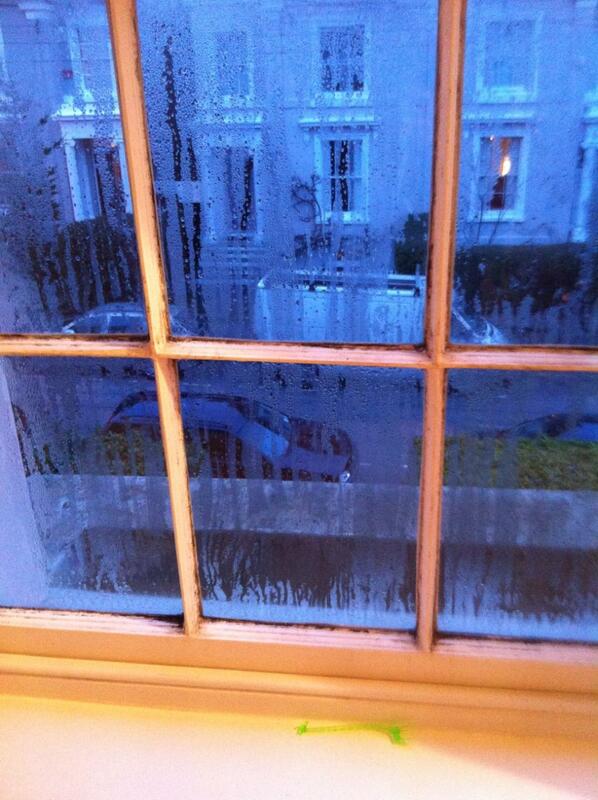 As a result you’ll see massive savings on your heating costs; money that was literally flowing out of the window! 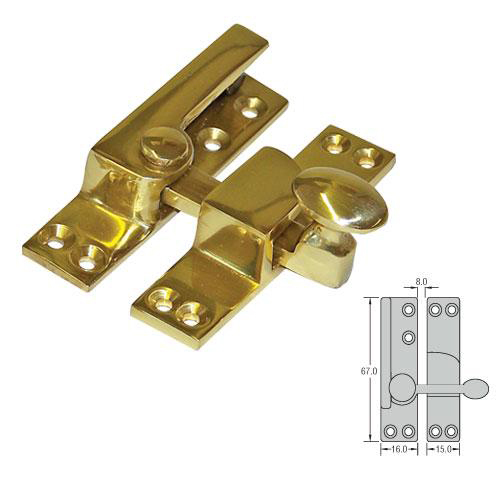 Sashes line up correctly for locks and security features to work effectively. Sashes open and close effortlessly. Properly sealed sashes keep out bugs, pollution and dust. Annoying rattles from wind and traffic vibrations are eliminated. Street and traffic noise is reduced. 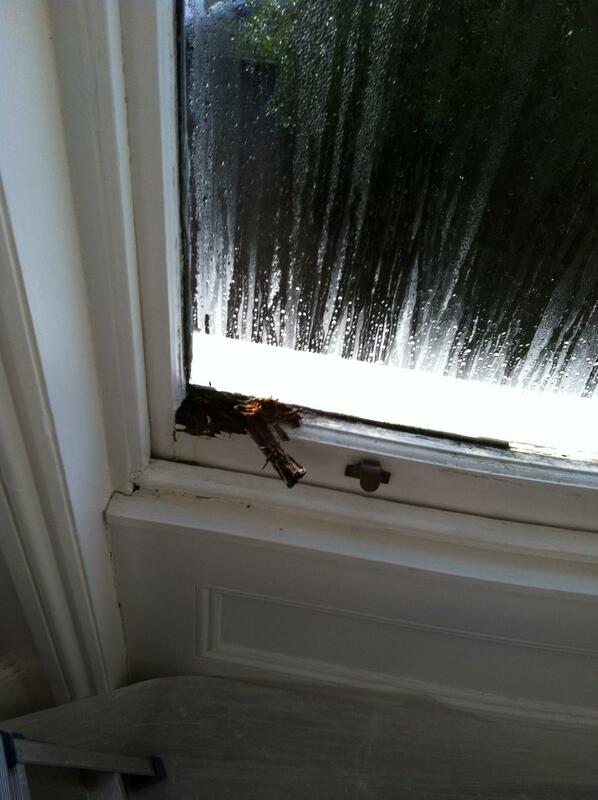 (this is especially important in children’s rooms and to prevent damage to newly installed slimlite double glazing). Improved comfort and warmth in your home. At CR Carpentry we are proud to be specialists in the supply and installation of Slimlite® double glazing; a product that has revolutionised the thermal and acoustic performance of traditional sash windows. This remarkable product dramatically reduces the heat lost through your sash windows. The ultra-thin unit (just 11mm total) can be retrofitted to most existing sashes. A patented combination of warm edge technology, inert gasses and k glass (producing a slight but hardly noticeable tint from outside) makes the Slimlite® system the most effective double glazing system available to refurbish your existing period windows. Please follow this link to download the full brochure and technical data sheets from our main supplier – SASHGLASS for more technical information. 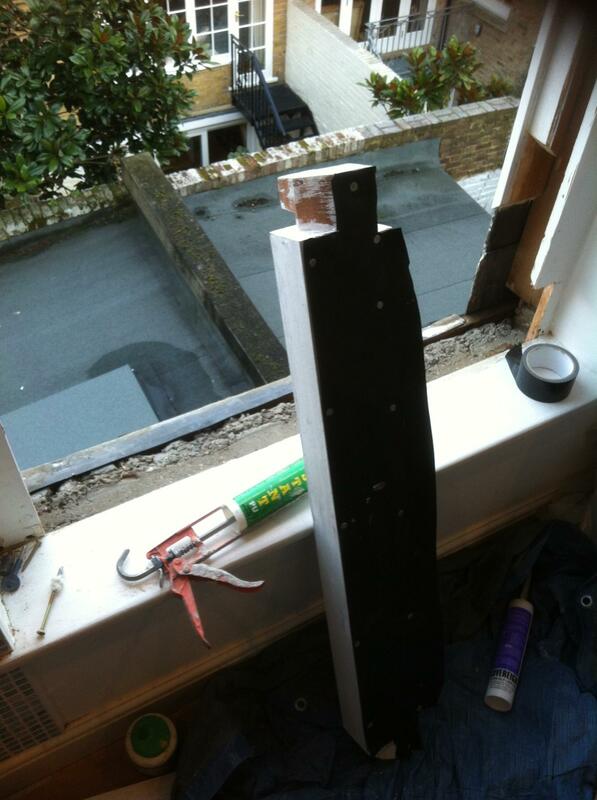 Thin enough to retrofit in sashes, casements and doors of about 40mm thickness. 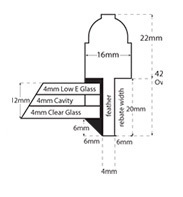 More than halves the u-value (heat loss value) of the glass in your period features from 5.4 to 1.9. Reduces condensation on the internal panes of the windows, protecting the internal timbers and increasing sash life. Condensation usually found on the internal pane will be reduced and in most cases eliminated by the installation of slimlite. *Includes a 5 year manufacturer’s guarantee on Slimlite®. CR Carpentry also offer a 5 year installation guarantee, covering any fault that could occur from the installation process. Easily replaced -units can be re-ordered and changed with relative ease if accidents occur. Slimlite® can be installed into metal, casement, static/picture, and box sash windows. Slimlite® can be supplied in a wide range of obscuring glass from the Pilkington range, for improved privacy or decorative purposes. 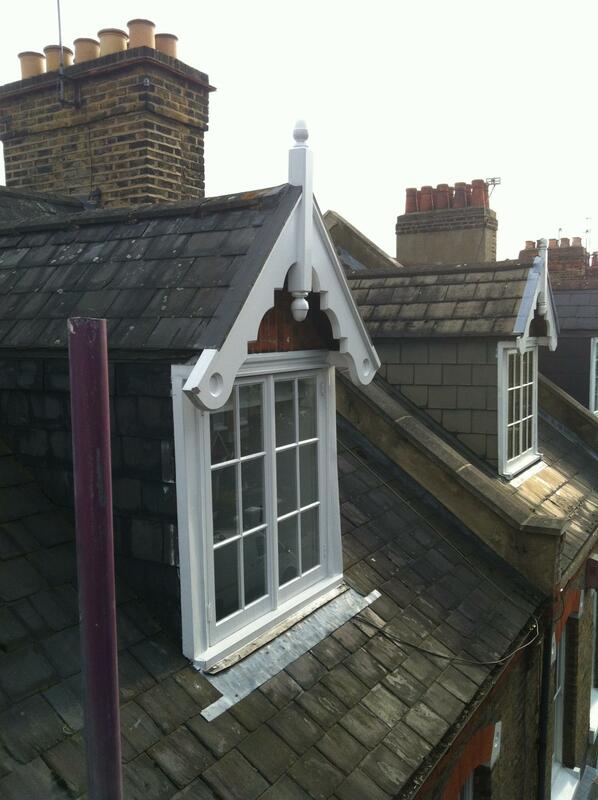 Units can also be made with lead effects surface mounted to match and re-create existing leaded windows. 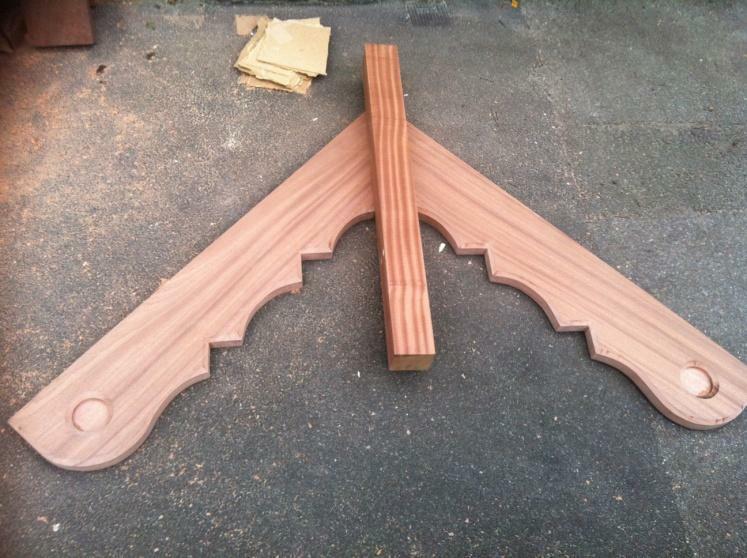 Designed specifically for installation in historic buildings and in conservation areas. Conservation officers must be contacted to ensure that the product can be installed in your area. We are happy to meet in person to advise on the installation process and bring sample units. Slimlite® has been installed in a number of listed buildings in the London area, however planning consent must be applied for before a job date can be booked. Again we will be on call with samples or to discuss our methodology, in order to assist with your application. Slimlite has a quick 2-3 week turnaround, From date payment to delivery on site. Please Click here for a full technical brochure from our main supplier of this fantastic product. When the windows are dismantled for the process of draught proofing or the casements are removed from their frames, they are then moved outside the property to a sheeted out or covered area for the sashes to be worked on, thereby reducing the dust and noise produced in your home. 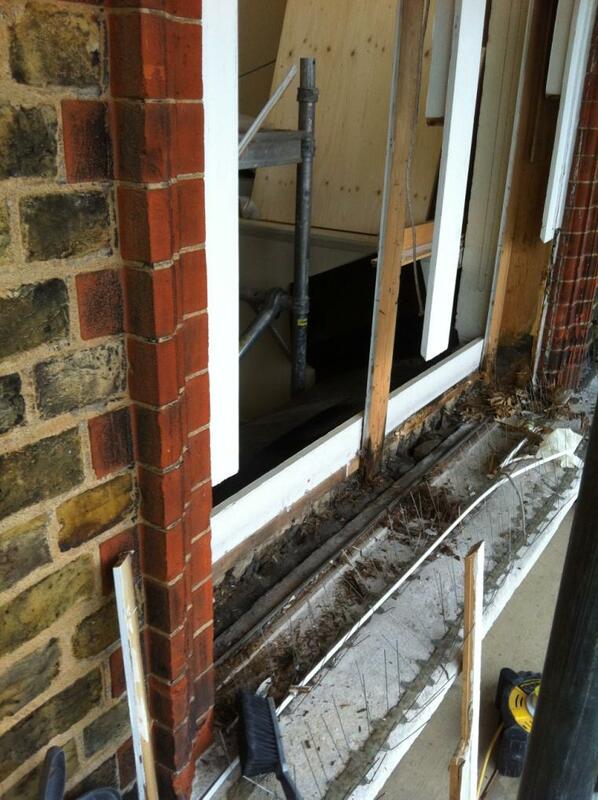 The original putty and glass is removed taking care not to damage the existing timber. The joints of the sashes are clamped, star dowelled and pumped with epoxy resin to ensure the joints’ lasting stability and strength. On a flat platform or working area the sashes are routed out, a process that increases the rebate depth to 20mm allowing for the extra thickness of the glass. 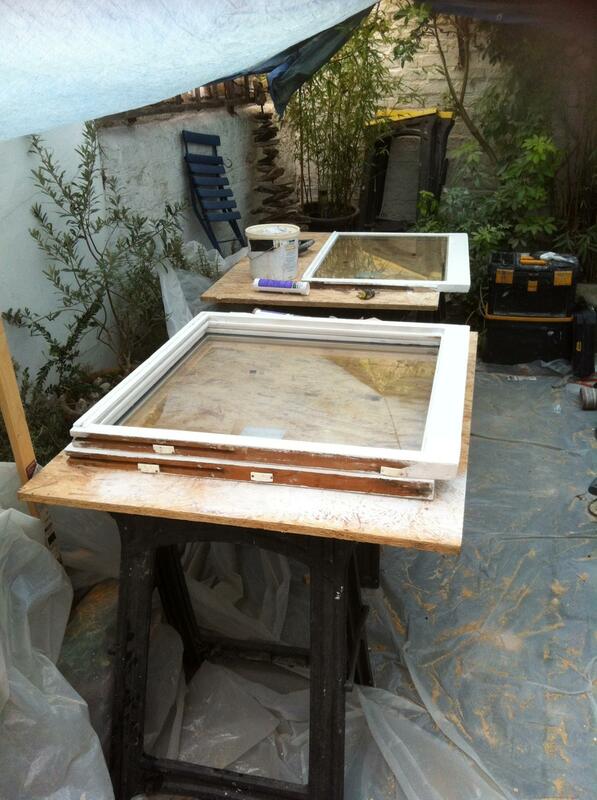 The glass is tested for fit, and the sashes are routed to take the weatherpile draught proofing system. At this stage the sashes can be fully prepped for the optional FULL DECORATION SERVICE. The details and moulding of the sashes can be sanded freely and the surfaces belt and palm sanded smooth, leaving a finish that cannot be rivalled when done in situ at a later stage. 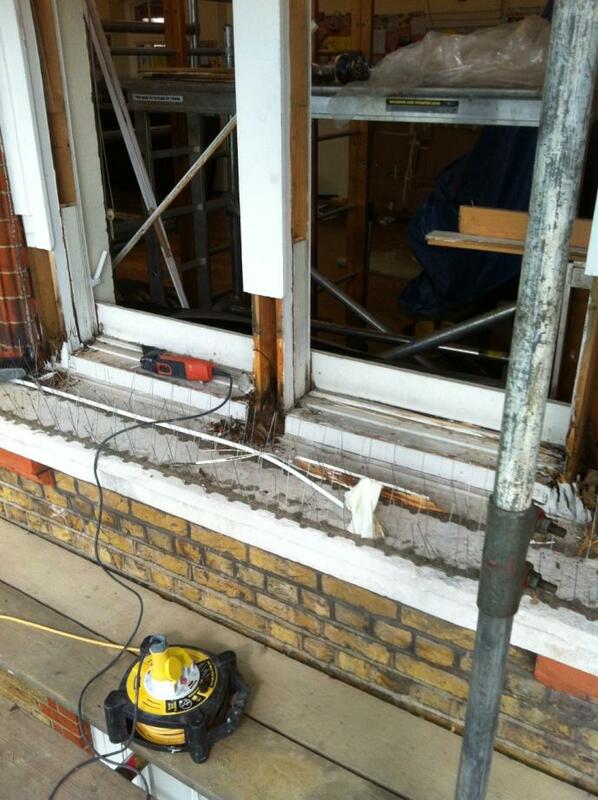 If completed by separate decorators after installation, this sanding would also risk damaging the new units. When the decoration prep has been completed and any repairs made, the sashes are filled, primed, sealed and protected, before the glazing can be installed. The units are now ready to be bedded in butyl compound and then face puttied using traditional puttying techniques. The end result is a fully refurbished sash, which combines dramatically improved thermal and acoustic efficiency with the character and history of the original period feature. Please note if the decoration service is not completed by CR Carpentry both the interior, and more importantly the exterior, of the windows must be painted no later than 8 weeks after installation (having allowed a 2 week period immediately after installation for the putty to cure). Slimlite® state that windows inland must be redecorated every 5 years, and for coastal areas every 3 years. A paint line should be cut in on to the glass by at least 2mm to act as the final seal between the unit and the putty line. Touch ups may be required to ensure that the putty remains protected. Failure to properly maintain the windows in accordance with Slimlite® guidelines may invalidate your guarantee, so we strongly recommend the windows are cleaned and paint work checked for chips or damage regularly to ensure a full protective coat. 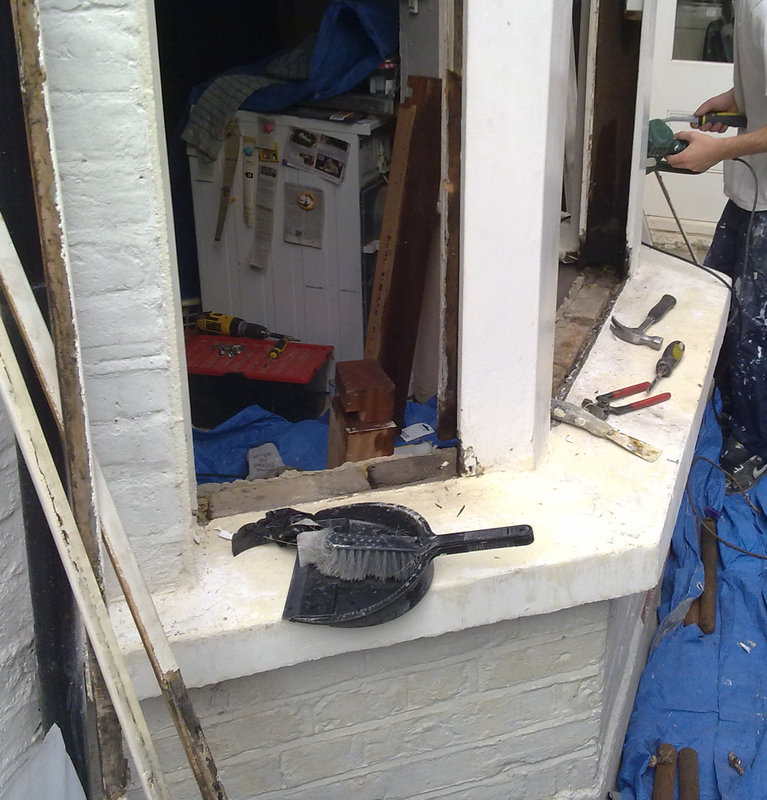 Again this service we provide offers a subtle and effective solution to draughty casement and exterior doors. 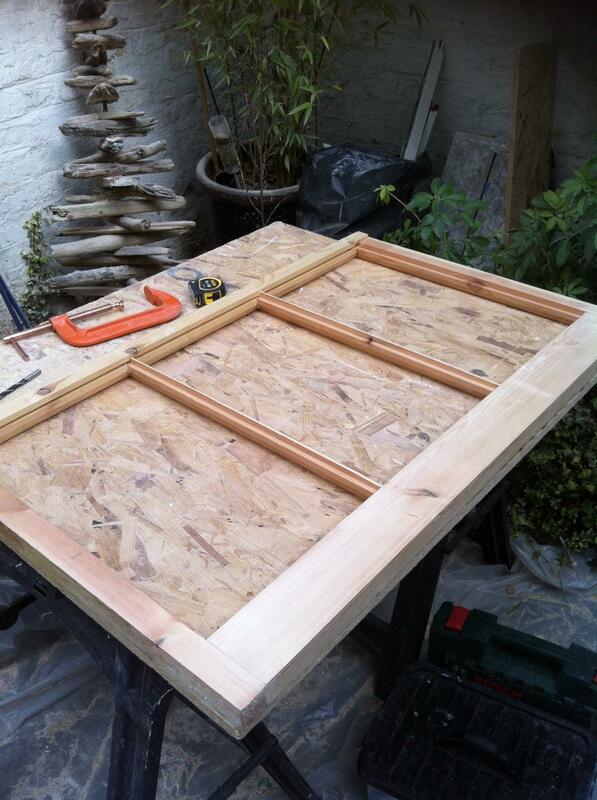 The casement/door is removed from the frame and channels are routed along the outside face of the door which has the gap between the door frame when closed. By routing up to the locks and the hinges, nearly all of the void, including the usually draughty bottom can be sealed using various lengths of the weather-pile system. In the case of the door having bowed and warped over time, excessive gaps may surround the door. 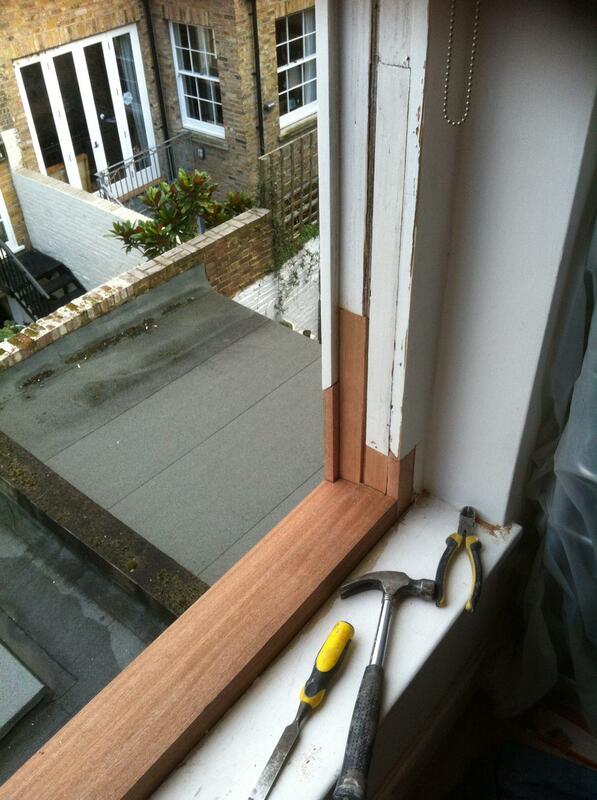 Hardwood plant ons are fitted and blended to fill the gaps allowing the draught strips to get contact where required. 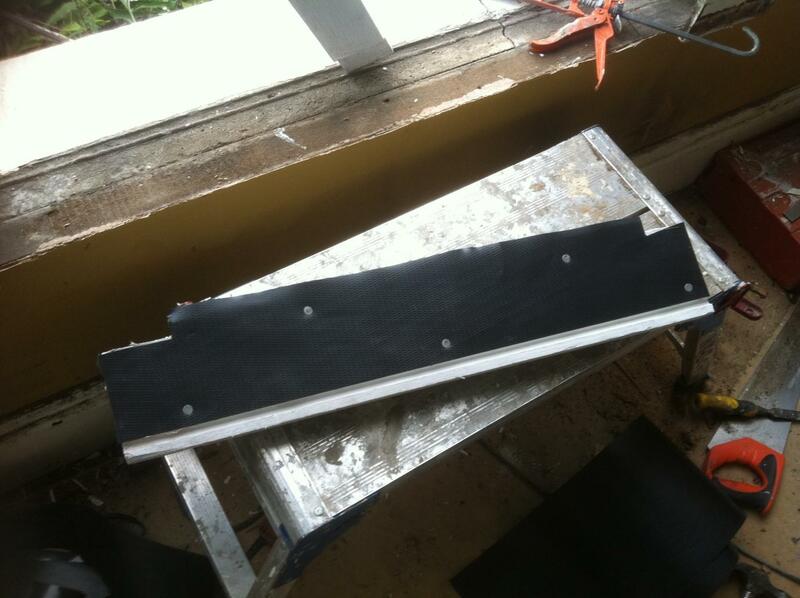 As the draught strip is installed into the channels around the door there is no risk that it will pop off like the cheep method of self adhesive foam tape, which by all accounts lasts about 2 days and never effectively closes the gaps. 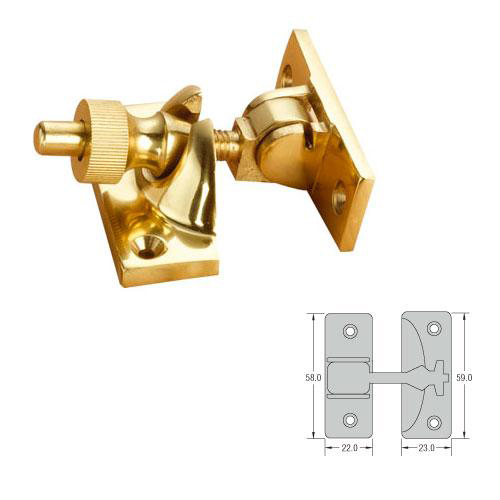 As the draught strip is installed into the lock and hinge face of the door it is nearly impossible to see when the door is closed (which is 99% of the time in your average household.) This means that you get a draught free door without having to look at aluminium tracks surface mounted to your period features. Boasting all of the advantages of the box sash draught proofing overhaul, this door and casement perimeter draught proofing service is also covered by the government initiative (The Green Deal) and is also charged at a reduced VAT rate of 5%. Estimate sizes can be sent for the generation of a quotation for both the supply and installation of the glass. The turn around time is usually 3 weeks from payment of the order, to delivery to site. We are there to measure, order, check, un load and install. 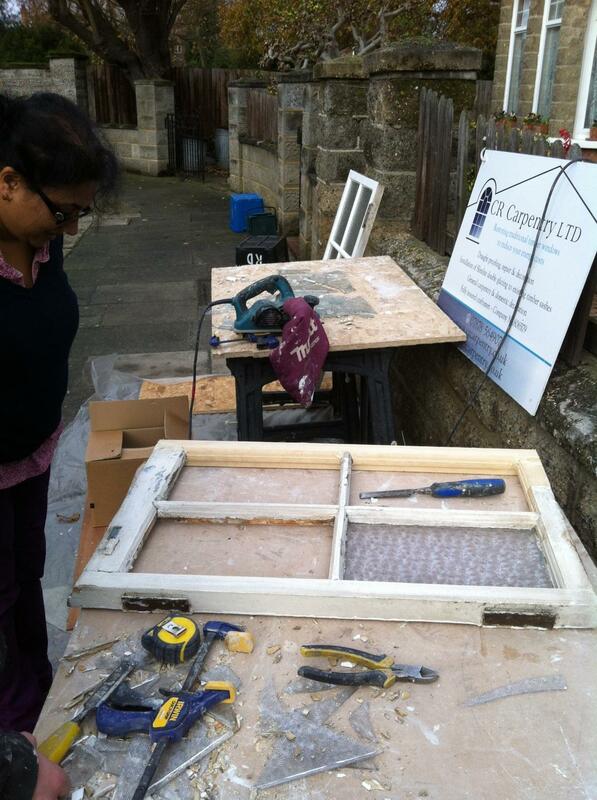 At CR Carpentry we aim to give a new lease of life to most original timber windows and doors. 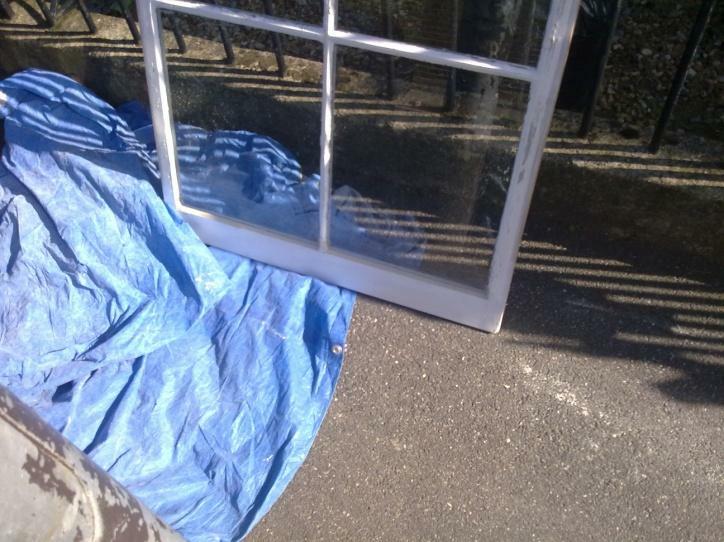 It is very common that areas of a window can be effected by rot but the rest of the box or sashes are in good condition. Our trained craftsmen will address these rotten sections and remove the effected area completely, and by using a combination of modern epoxy resin repair systems, traditional joinery methods and quality materials we offer lasting repairs at a fraction of the cost of replacing. 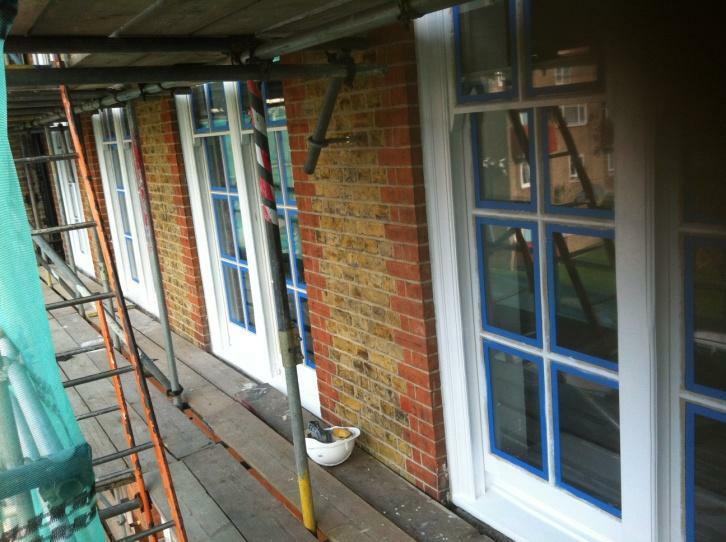 Using a large range of sash window stock, supplied by London’s finest timber merchants, we can match most traditional joinery profiles so that our repairs blend in with the period joinery surrounding it, and will last for years to come. 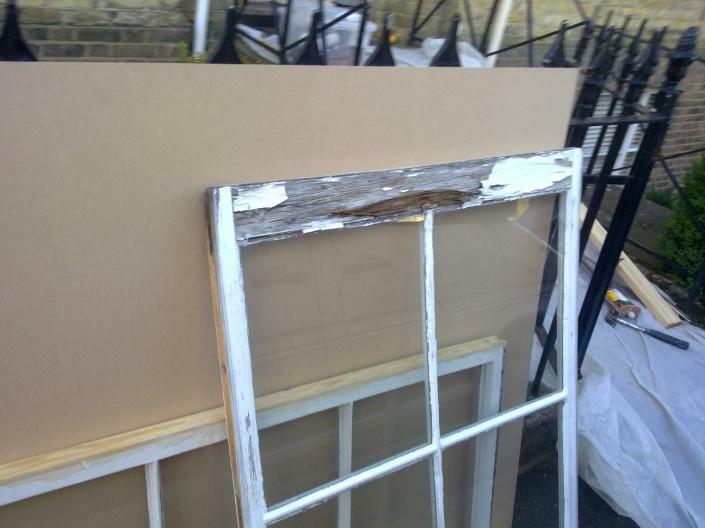 At CR Carpentry, It is very rare that we come across a window that will need full replacement, in worse cases we will make replacement sashes and keep the original boxes. Our repair service is not only environmentally sound, it is also a lot more kind to your pocket. With full replacement box sashes costing between £1200 - £1500 each ex Vat we could repair the rotten areas at a fraction of the price , and with our full sash restoration service leave you with a thermally efficient, fully functional and beautiful window retaining all its original character. 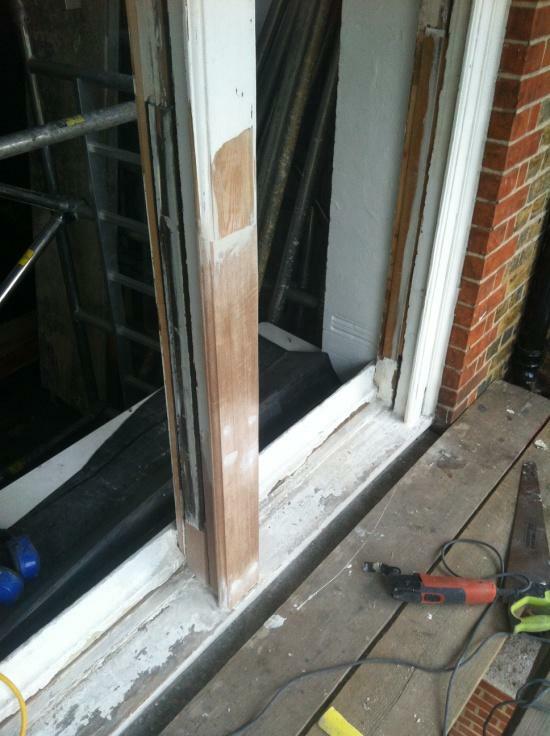 Removal of the rotten sash section (commonly the bottom rail) and joining in new section of timber to the original sash. 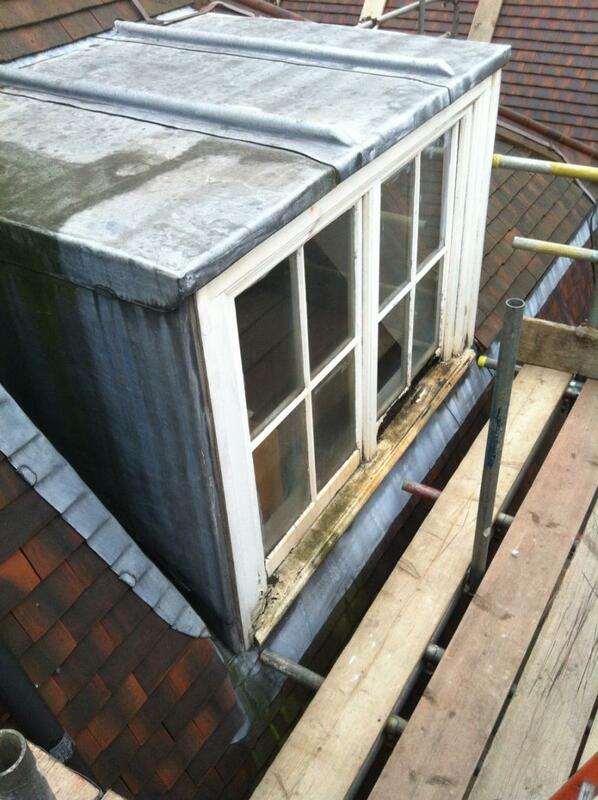 As an additional saving we usually aim to use the original glass where possible. All timbers are primed and protected before joined with epoxy resin and fresh linseed putty and a coat of gloss is applied to ensure they are fully protected against the elements. This is where areas of the sash box are rotten, usually on the lower section as this is where the weather or moisture from the surrounding masonry can effect the timbers. The effected area is cut out using a bevelled cut to gain additional surface area for the epoxy resins to bind the joint. The new timber (usually sapele hardwood) is spliced in and bonded with epoxy, it is then sanded back to make a seamless joint and then fully protected and painted. 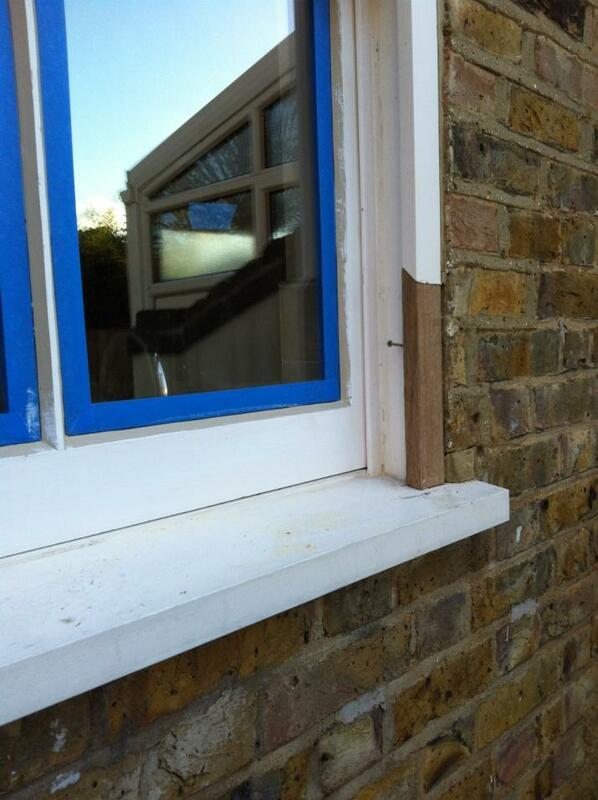 As the lowest part of the sash box the sill is exposed to the majority of the elements. In most cases sash boxes were originally fitted directly on to the subsill or wall cavity without the use of a damp proof course between the bottom of the timber/moisture absorbing masonry. 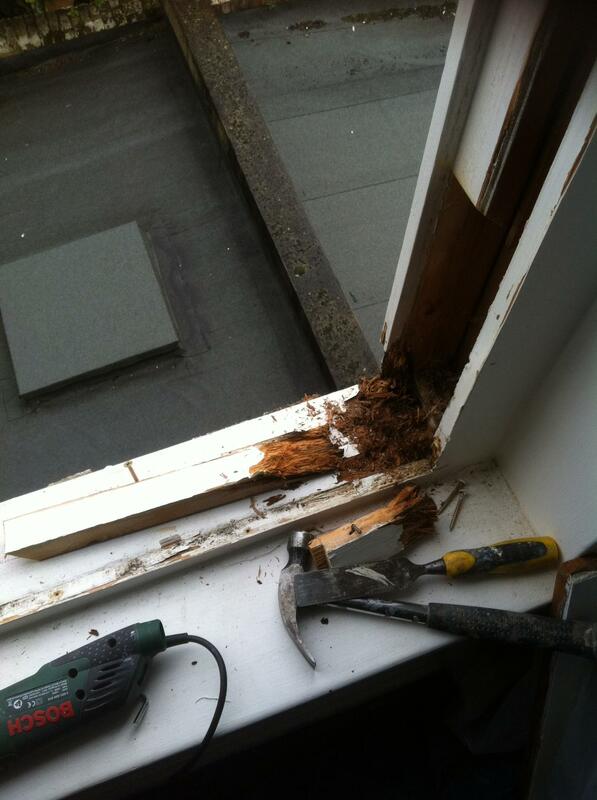 This means that a sill replacement is quite a common repair for the CR Carpentry Team. 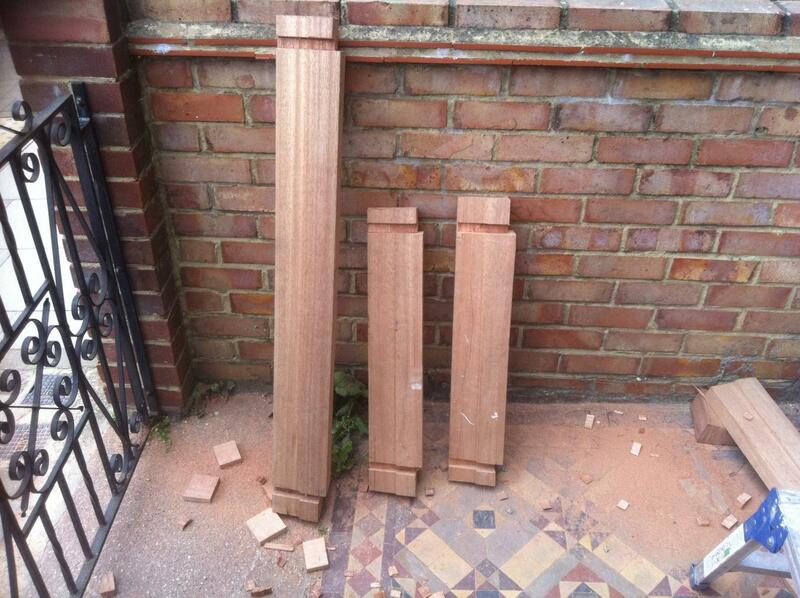 We remove the entire hardwood sill, bisecting the box to allow for a replicate hardwood sill to be cut in. When replacing the sill we cut in the same joints that were used when the box was originally made. If areas of the box need replacing , at this stage we can replica them exactly with hardwood and piece the box back together. 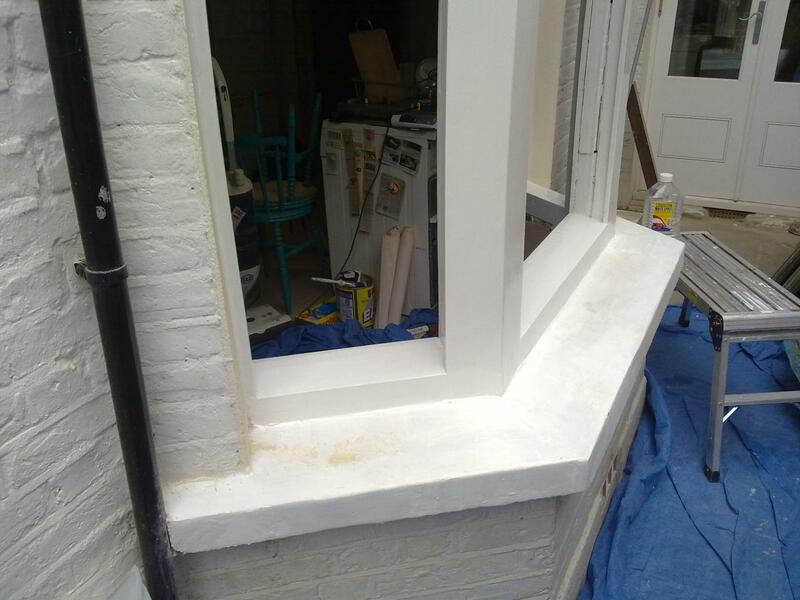 With all of the pieces cut and fitting tightly we prime all of the surfaces for protection and install a damp proof membrane to the bottom of the sill, to protect from future rot issues. With all new timbers protected the lower box is epoxy-resined into position and foamed into position to ensure weather tight. The sill is then pointed in and interior plaster is made good. As the sill is jointed using the original joinery methods, as well as the most effective glue systems, the box retains its former stability and structural strength. We offer itemised repair costs upon survey for all other areas of the sashes, including replacement glazing bars, styles, hardwood lippings and weather bars. On occasion we will come across areas of the sash/ box that have been bodged in the past, which could not be picked up on in the survey. When this happens it is our pledge to address the situation to the client and work out the most cost effective solution to the problem at hand, our aim is to keep as close our price as price as possible without compromising our craftsmanship. On the rare occasion that sashes require full replacement, we have equipment in our mobile workshop to remake new sashes on site, made to match the existing joinery. In the case of larger orders we have a local joinery team who can supply soft and hardwood sashes for installation into existing boxes. As we specialise in repairing and modernising the existing sashes and boxes, our work does not require Fensa Registration certificates. This is the certificate required for all new joinery being installed in a property. As we are improving the existing this is not required. 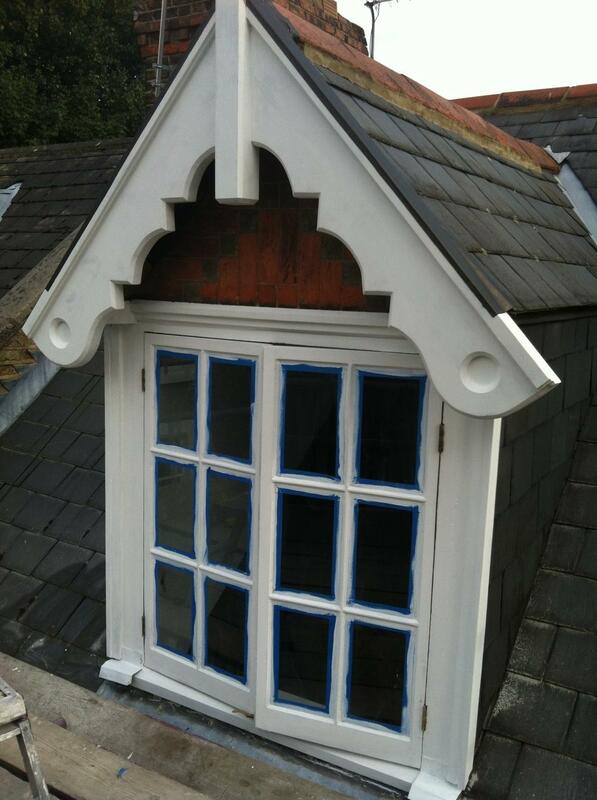 Although we specialise in restoration of period windows and doors, we also put our hand to other timber restoration projects and storage solutions as well as general carpentry and decoration services. Please feel free to contact us if you have any other projects that you would like out team to look at. We offer a standard re-glazing service to sashes and casements, glass ranging from standard 3-4mm float, privacy, laminate and acoustic laminate glass. 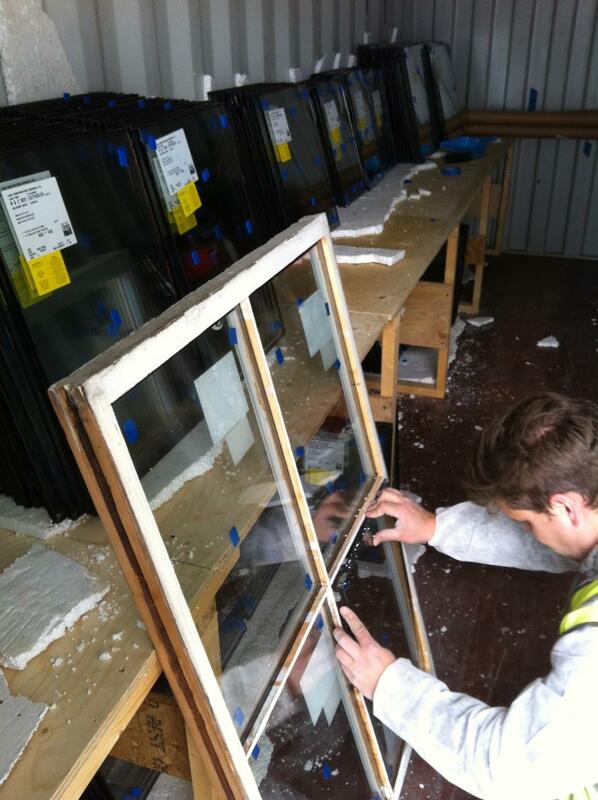 We also are able to obtain specialist glass including crown,and coloured panes if required. We supply and fit a large range of quality and cost effective ironmongery and security feature. We can put the itemised cost for supply and fitting to your estimate. If you would like to see samples of these products that can be easily arranged. 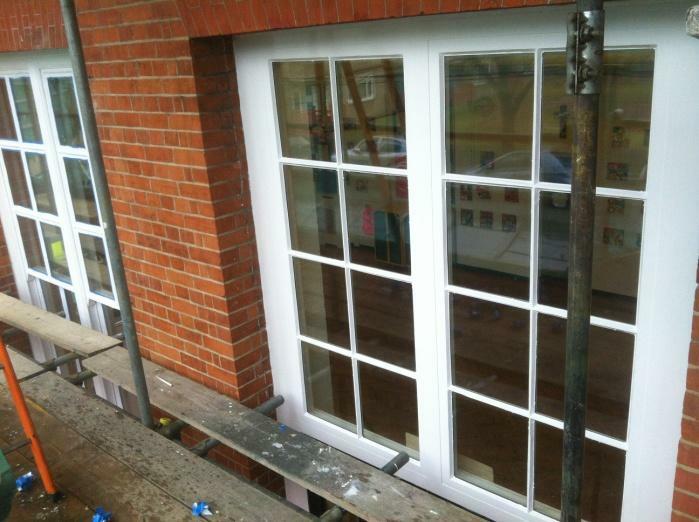 We can also supply and install a large range of casement window furniture. 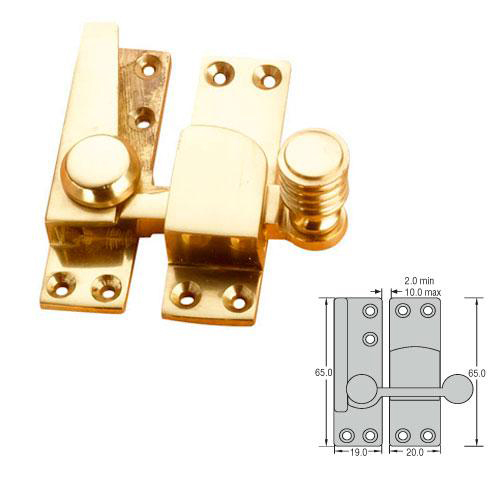 Fitch Latch: Ideal for windows of any thickness, especially when slimlte double glazing has been installed. 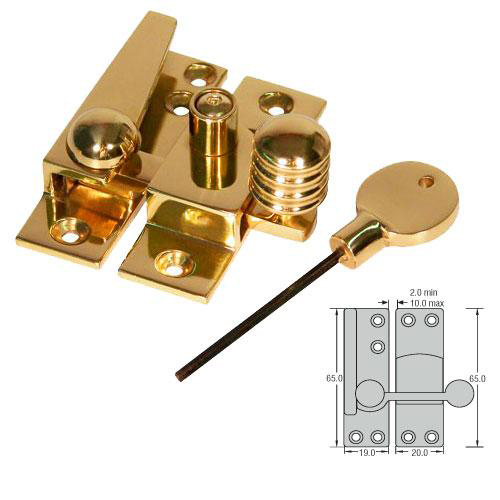 *Available in all finishes and in a allen key locking version if required. Quadrant Arm Fastener Narrow Keep. 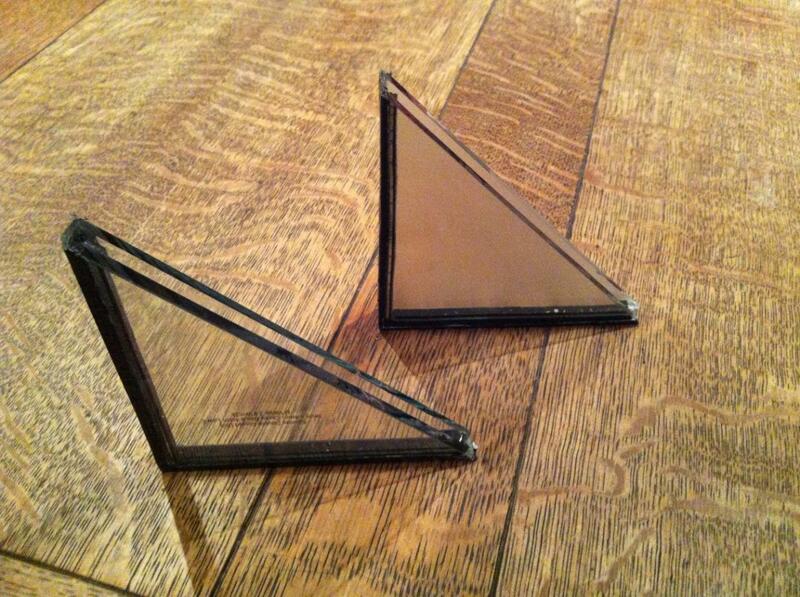 Available in all finishes , with narrow keep for use on thinner sashes. 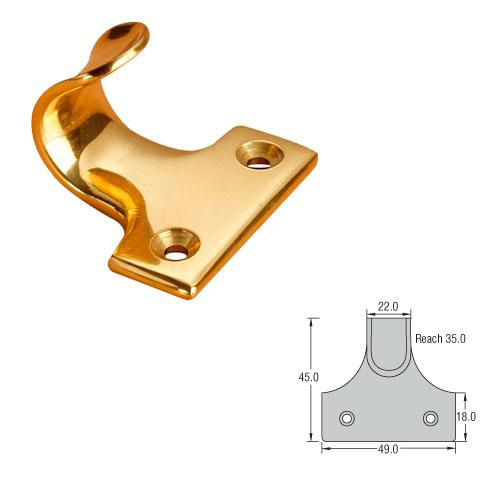 Narrow Keep Lockable Hook Fastener. Available in all finishes. 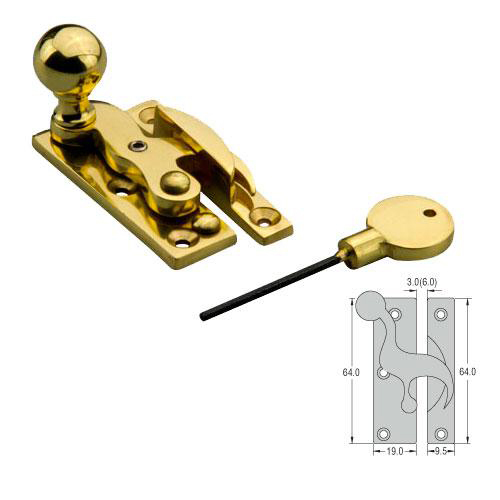 With narrow keep for thinner sashes or those installed with slimlite double glazing.A lockable allen key version is available for additional security. 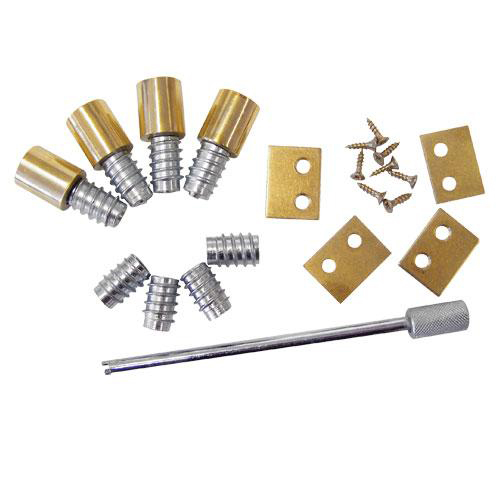 Beehive arm fastener. 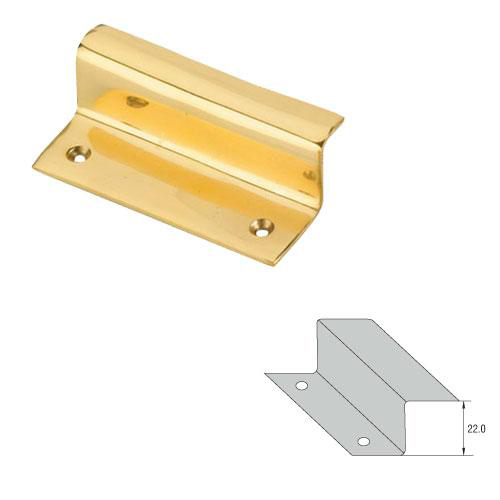 Available in all finishes , Better suited for thicker sashes or those without slimlte installed. 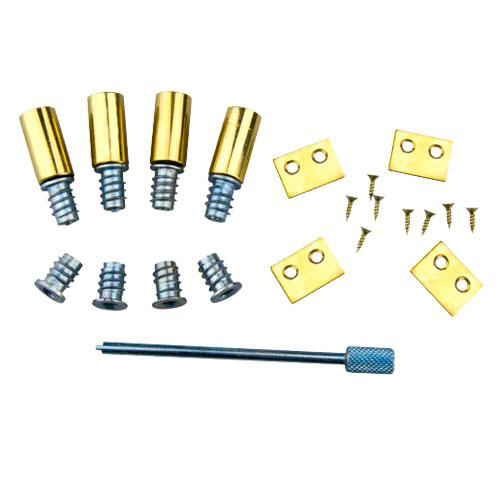 Reeded Arm Fastener. 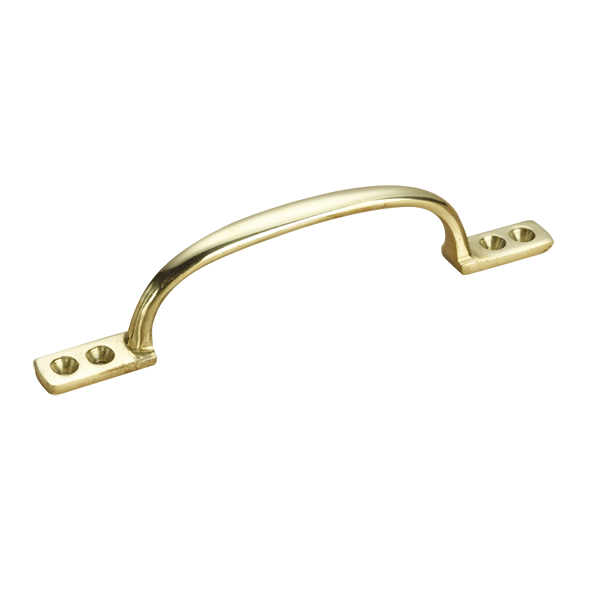 Available in all finishes, not suitable for thinner sashes, an allen key operated version for additional security. 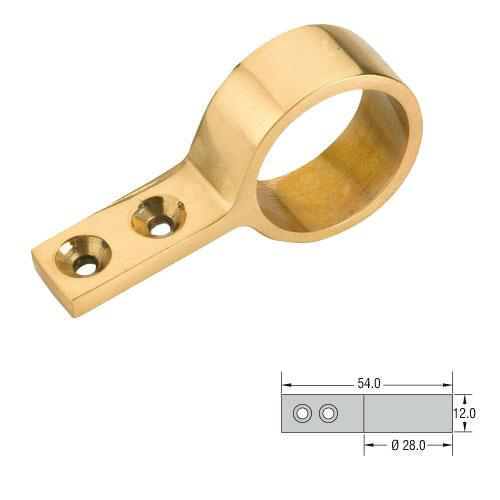 Brighten fastener Available in all finishes. Not suited for thinner sashes or those installed with slimlite. Modern Fastner: Key operated for additional security available in all finishes. 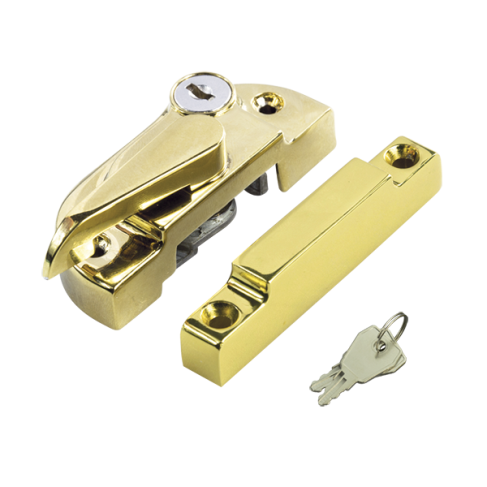 Secure Stops 19mm barrels Key operated Allow for 10cm of movement for both the top sash and bottom sash enableing the windows to be opened a bit for air circulation but remain securely locked. Ideal as additional security and window safety for children. Secure Stops 30mm barrels Key operated, to allow Allow for 10cm of movement for both the top sash and bottom sash enableing the windows to be opened a bit for air circulation but remain securely locked. Ideal as additional security and window safety for children. 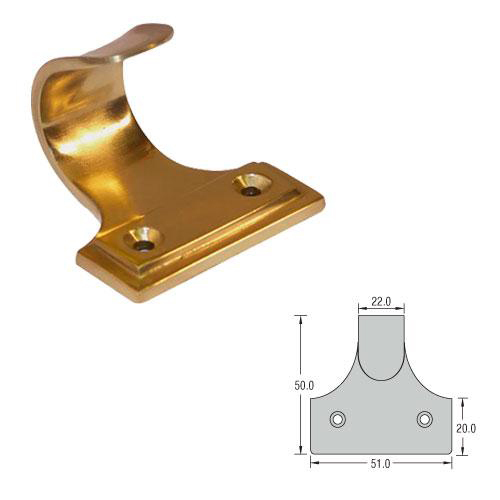 Curved sash lift - For ease in opening of bottom sash without dirtying paintwork, available in all finishes. 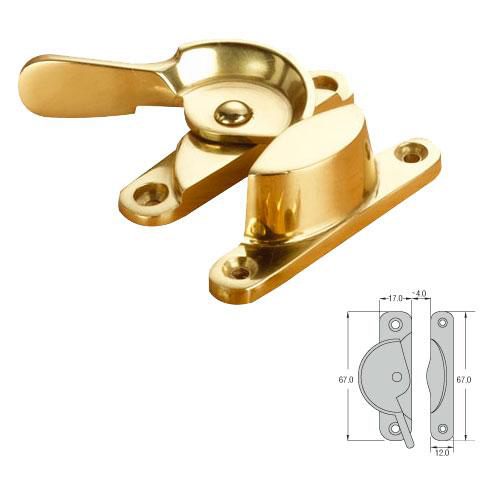 Raised plate sash lift: For ease in opening of bottom sash without dirtying paintwork, available in all finishes. Flat lift: For ease in opening of bottom sash without dirtying paintwork, available in all finishes. Standard Ring, \to lift lower or upper sash . Available in all finishes. Sash pull/handle Designed to pull down the top sash when the bottom sash has been opened. Available in all finishes. 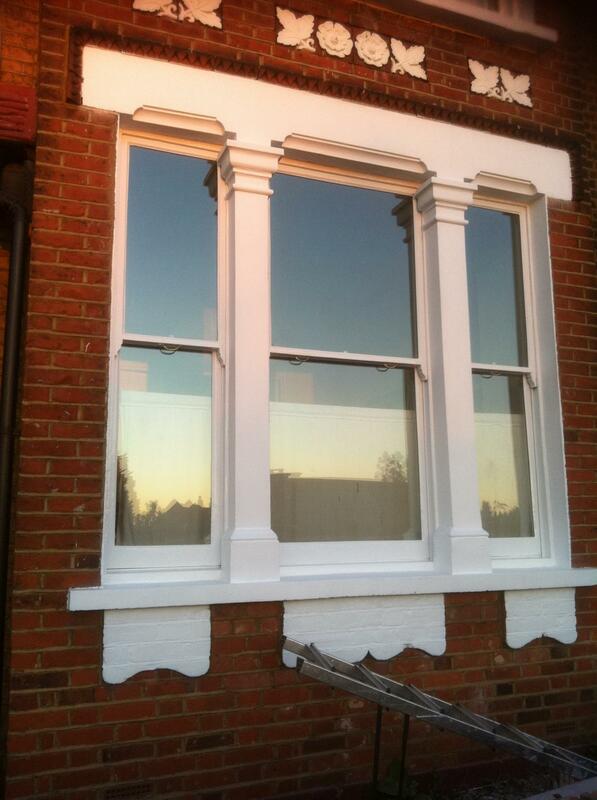 CR Carpentry offers a full decoration service for your period features. 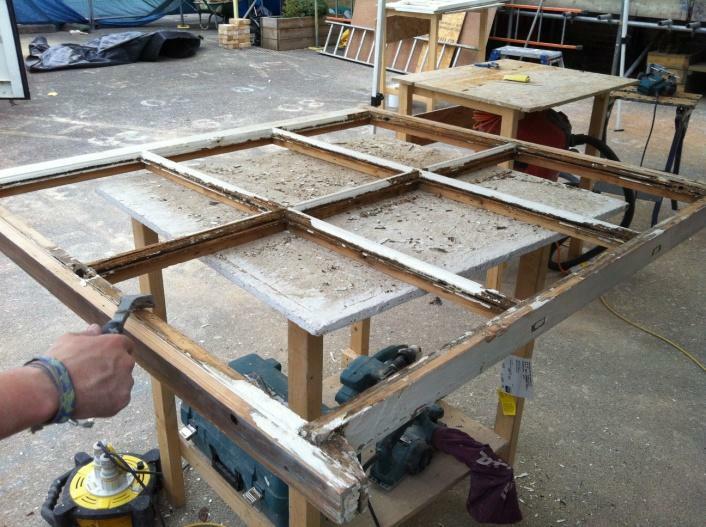 As previously stated the main advantage of our service, (which most other sash restoration teams do not offer) is that we can do all of the preparation and dusty work at the same time as we do the restoration and modernisation of your windows. This means you will experience less disruption in the homestead, have peace of mind that your windows are sealed and protected from weather at the point of renovation and saving you time having to find another decoration firm. 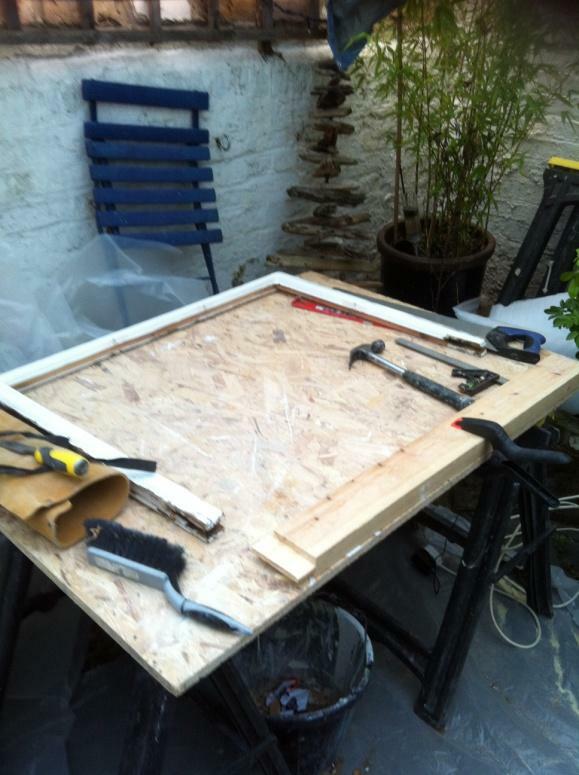 As well as there being less hassle in breaking up the project using two firms, you also lose the risk of the second firm causing damage to the glass/ work produced by the restoration team. This can then cause a grey area between the two firms, as to who responsible for the damage. Our team work from start to finish on your project and take the utmost care not only with the expensive sash window and glazing components, but more importantly with our clients property and possessions. Our clients are always impressed with the measures we take to ensure that their property is correctly protected, and the effort taken to clean properly after we work. When decorating, CR Carpentry prides our selves on using the best products on the market. Using a range of paints and primers from Permoglaze, Dulux trade, Farrow and Ball, Sandersons, Zinser and Machpheresons. We also use the best polyester water resistant fillers, exterior cement based products and interior plaster based products to ensure great finishes before the final coats are applied. We also use fine detailing masking tape to ensure paint lines are crisp every time. - Our decoration is broken up into various stages to ensure timbers are smooth for operational purposes, sealed and protected and left smooth and flat to ensure a crisp finish. We aim to make an amazing transformation on even the most tired and tatty windows, bringing them back to their original glory without losing their period character. We recommend that you redecorate your windows at least every 5 years, giving them a full external preparation. We also offer a reduced price external top up coat to our existing customers, which can be done without scaffolding after about 3-4 years, this involves light prep and touching up the existing paintwork that we have done. This method of topping up as opposed to waiting over 5 years or more can work out more cost effective in the long run as the windows are always fully protected and maintained. 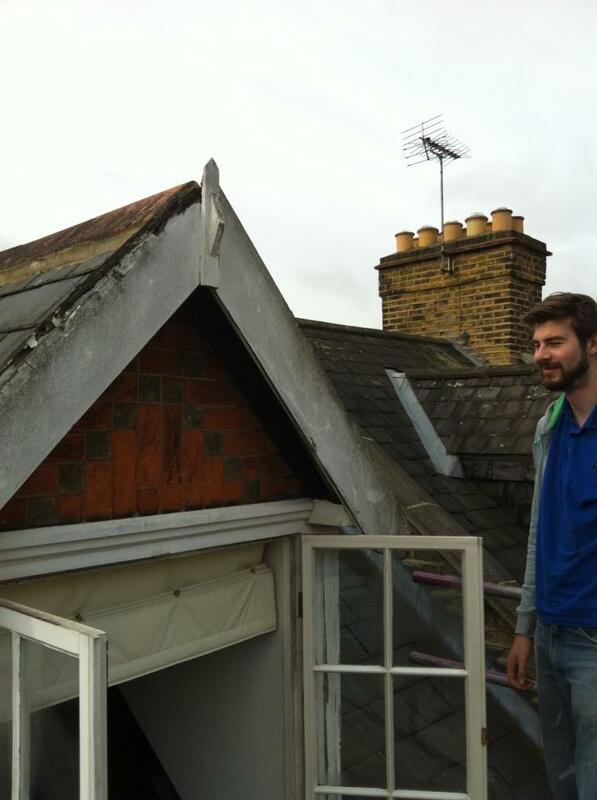 The sashes can be released and worked on inside to avoid the need of scaffold in most cases.